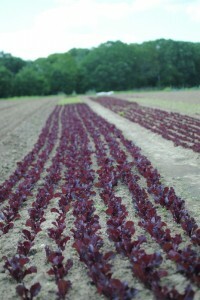 My brother-in-law and his wife own and run an organic farm a few towns away from us. 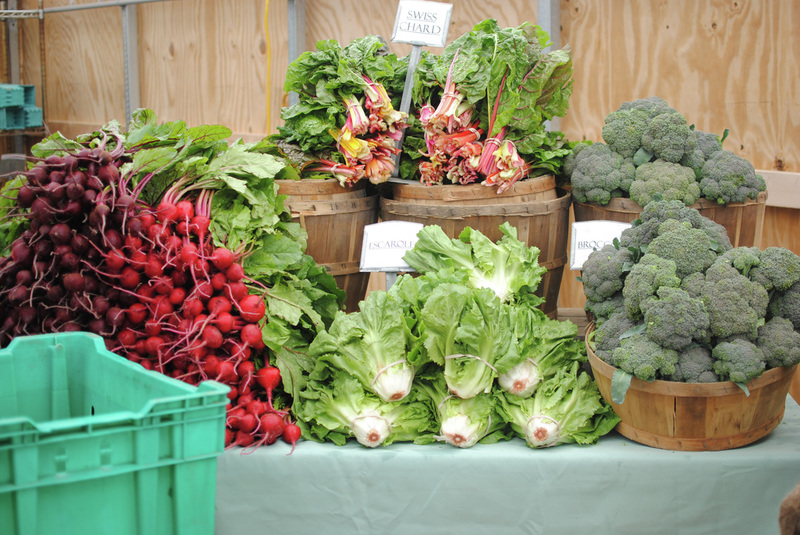 Every summer and early fall we participate in a weekly “community share” and the beautiful produce is plentiful, delicious, and fresh. I’ve used the word “clean” to describe the taste as well as the process from field to table when explaining the difference between what we buy in the grocery story and the farm to my twins. 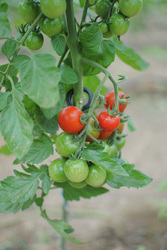 I’ve explained how the life cycle of the produce from the farm to our table is a pure process: we know exactly where -and how –the beans, tomatoes, melons, and onions grow; we know how the crops are picked (sometimes we do it ourselves! ); and we often know the specific location for each crop (especially the pick your own tomatoes and raspberries) all this because we are very fortunate that the farmers are the twins’ aunt and uncle. I’m consistently surprised by the taste, smell, and feel of the fruit and produce. I’m also overjoyed about the way my family experiences the food – we barely get home before we rip into the bags plus we have to force ourselves not to devour an entire week’s worth of fresh produce on the first night. From June to October, the effects of this weekly cornucopia can be seen and felt throughout our family in real ways from increased energy to more satisfaction at our meals. We eat every single item in our share and have fun trying to figure out how to prepare celery root or mustard greens. After a month, we look healthier, we don’t crave junk food, our breath is better, our digestion improves, our skin glows. I know the kale and spinach and squash and bok choy and heirloom tomatoes and carrots and beets are gold because they are not processed or artificially colored or sweetened. 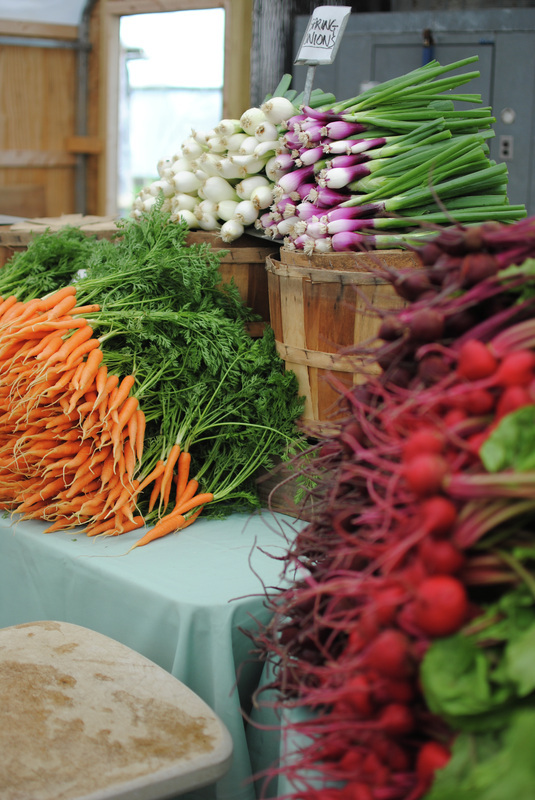 The last 2 summers, I saw such a huge difference in our twins when they ate from their beloved Uncle Chumless’ farm (I’m saving the story behind his nickname for another blog post) that I vowed to change our diet. Predictably, when our summer share ended so did my courage to make a change. The thought of drastically changing the diet and eating habits (not to mention pantry) for 4 family members (me, my husband, and our twins) was unnerving. My daughter has my sweet tooth, my son loves fast food and we all eat junk food, carbs, sugar, dessert, and pizza. I was afraid of the amount of work overhauling our food habits would involve and I was convinced that embracing the “clean eating” movement would be impossible (not to mention would exacerbate my life long aversion/ bordering -on-phobia of grocery shopping). 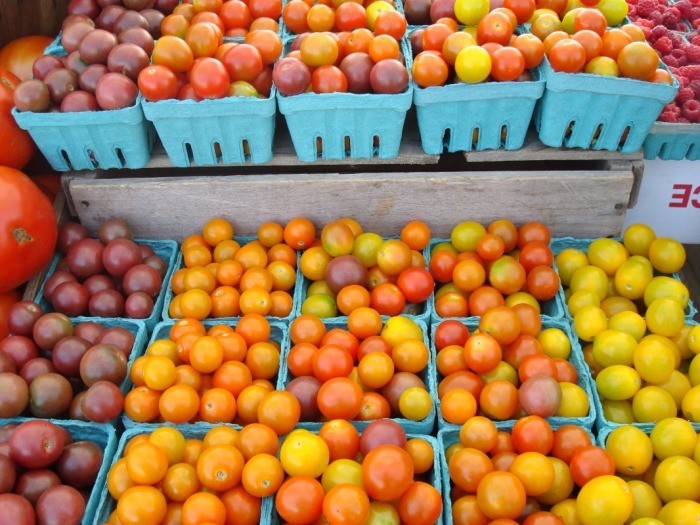 Fast forward to this September – I’d already begun thinking about the impending “last farm share” and the return of our old food habits when an email arrived on September 10. 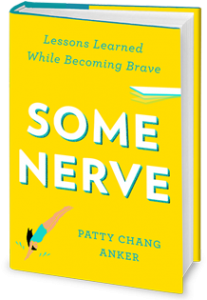 My friend and former colleague Patty Chang Anker’s new book SOME NERVE: Lessons Learned While Becoming Brave challenges readers to name and then face a fear — to conquer one thing and in doing so take that big first step toward a bigger and braver life. 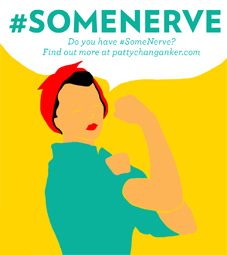 Dozens of bloggers are facing fears online and writing about their experiences for Patty’s #SOMENERVE challenge and it was the email invitation that energized me and inspired me get up my nerve to make my big change, to face my fear of an eating makeover. That very day, I began my “clean eating” campaign. For the last two weeks, I’ve embraced the challenge with my family and I am happy to report we’ve been successfully making the change to “clean eating” and I have conquered my fear and then some. We are doing both the summer and winter farm share so I’ll get amazing “gifts” of fresh produce all year long. Today, I have so many reasons I’m personally gratified and proud that I faced my fear. The list includes: improved health for me (and my whole family), weight management, inspiring my husband, helping my daughter become a leader in her school’s healthy eating initiative, an organized refrigerator and pantry, a weekly meal plan, a deeper joy of eating and cooking, and the added bonus of looking forward to grocery shopping for the first time in my life (TRUE!!). This one change has led me to so many others that I am already trying to find a new fear to face. Get ready for another post Patty! 2. It saves you money (you will use everything you buy when you eat this way). 3. You will look and feel healthier (and if you are concerned about weight this change will help you maintain a healthy one). 4. Real, unprocessed food tastes GREAT (and so much better than processed fake food). 5. Your children will be asking for (and craving!) fruits and vegetables (my two want raw red and orange pepper slices more than candy now). Today, as I sip my coffee with cinnamon (thanks, Jen! ), I wonder what took me so long and why I was so fearful? Take it from this Italian girl – the same one who loves pasta, bread, polenta, carbs, chocolate, dessert, and pizza – when you face your fears (whether they are food related, exercise related, career-based, or something else) you embrace living fully. 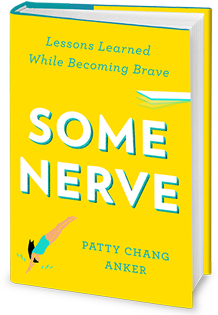 To learn more about joining the SOME NERVE challenge and Patty’s brave movement, visit her website or blog. If you are interested in Clean Eating, check out this great HuffPost article to get started and also subscribe to Jen’s posts at The FWORD blog and check out some of her recent guest posts at sites like How Does She. Thank you, Patty! Thank you, Jen! It takes a village and #SOMENERVE! 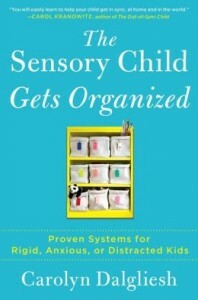 Today’s gift: an extraordinary, life-changing book THE SENSORY CHILD GETS ORGANIZED by Carolyn Dalgliesh (Touchstone, September 2013). It’s no surprise that My So-Called Sensory Life LOVES this book (and the author). But what is amazing is how much I am using this book every single day as a Mom of a sensory child — finding new tips, trying new systems, and most of all finding community and support from it. It’s a gift. And so, in the spirit of My So-Called Sensory Life and daily gifts, I’m pleased to give you, my dear readers, a gift today. Carolyn did a terrific Back To School Q & A / guest post with me for the book (which is already a best seller) and we are kicking off our week with it. She shares amazing advice that all parents and families can use. Chaotic is the single best word to describe my summers at home. Why is this a deep, dark secret? I organize for a living! As in, I’m a professional organizer – people hire me and pay me to organize their homes, families, and business. The lack of structure, summer travel, and later then usual bedtimes have me and my sensory family way out of whack by August. It takes all of my supermom willpower and Type A organizing instincts to embrace the chaos and not jump on the back-to-school wagon as soon as I possibly can (June!?) with my usual “get it all done now” organizing mentality. For parents of sensory kids and special needs children (by sensory I mean like those kiddos AD/HD, anxiety disorders, autism, or sensory processing disorder), the end of summer and beginning of school can be a welcome reprieve. The idea of getting your rigid, anxious, or distracted child into some much needed structure can have you motivated to get this Back-to-School business started in a big way. This week everyone is finally back to school and so I’m sharing a few of my trade secrets as a professional organizer (shhhh!) along with personal tips to curb your own excitement and stay focused on a slower and more successful way to transition your sensory child (and yourself) back-to-school while also enjoying the dwindling dog days of summer. 1. Unplug from Expectations - You will be bombarded with messages that back-to- school is a fun, exciting time for you and the kids as they get ready for school. Unplug from this and realized that for many sensory kids, back-to-school is a pretty overwhelming time full of change and new transitions. Be sure to proceed accordingly. 2. List & Prioritize Needs - For sensory kids, back-to-school is a three month process vs. a one week event. Start by making a simple map of supports you may need to anticipate over the first few months – for example new people & new routines, getting stuff to school and back home again, and homework supports. Prioritize the needs chronologically and no skipping ahead! 3. Focus on Immediate Needs Only - To repeat for impact – Forget about the big, stressful project that you know is coming for your child in November. Focus on the immediate needs only and for back-to-school thatʼs helping your child be ready for new teachers, new classrooms, and a new schedule. 4. Spread out Shopping - Want to overwhelm a sensory child? Drag them to a loud, bright mall with lots of people and big signs that say “Youʼre going Back-to-School”. A slower more successful option is to shop for one or two things at a time over the course of a few weeks or better yet, get a few things by yourself. 5. Bring in a Fascination - Even if you despise all things Pokeman, let your child bring in a fascination with school supplies. Getting a notebook, lunchbox, or backpack that taps into a fascination can be a simple way to help get ʻem over the hump. 6. Build in Routines - Slowly start building in some of the school routines that your child will be dealing with – getting up a little earlier and picking clothes for next day are a few ways to start. The less “new” things your child is dealing with the first few weeks of school, the better. 7. Make it Visual - Get your checklist writing, visual map skills ready. Nothing helps our sensory kids more then having a visual guide to help them move through the challenging. These work for morning routines to how to get along with Tough Timmy and everything in between. 8. Create a Small Tradition – Actions speak louder than words for many sensory kids. Having a special tradition you do the day before school starts can be the most gentle yet impactful way to let your sensory child know whatʼs coming. A special lunch or a last trip to the ice cream store are much nicer ways to think about going back to school. 9. No Big Lectures - As much as you might be tempted to give your child a big happy lecture about what a great year this will be – DONʼT. If you need to lecture someone, give yourself one. It will be a great year filled with lots of ups and downs, teacher calls and emails, and lots of meltdowns that will need your coaching and support. Be sure you focused on the big picture, good year part. 10. Get Ready for some Emotion - Yes, emotions from your sensory child but also emotions from YOU. You are going to miss everything about having your child around so get your tissues ready for that first day of school. Carolyn Dalgliesh is the mother of two, a professional organizer, and the owner of Sensory Organizing a business helping sensory families, individuals, and businesses get organized. 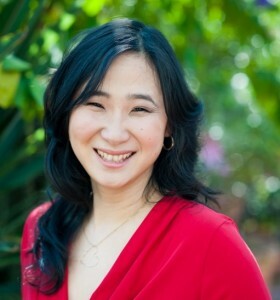 She is the author of the new book The Sensory Child Gets Organized (Touchstone / Simon & Schuster, Sept 2013). For more sensory organizing tips, connect with Carolyn on Twitter @helpsensorykids and on Facebook. Thank you Carolyn! Happy Organizing!